Around the time that Saudi journalist Jamal Khashoggi first went missing in Istanbul 13 days ago, the Qatari government urgently dispatched several individuals to the United States. Among them was Hassan Ali bin Ali, an important Qatari regime insider and businessman. Bin Ali is believed to have met with several American and non-American media personalities. A congressional source told Al Arabiya English, on condition of anonymity, that Bin Ali had hired the New York City lobbying firm Friedlander Group, founded by Ezra Friedlander, to mend the bilateral relations between Qatar and the United States. The meetings coincided with an event planned by the Gulf International Forum (GIF). The conference’s title was “The Future of a Disrupted Gulf Region: Old Tensions, New Paradigms, and Emerging US Challenges,” claiming to discuss Gulf issues in an objective manner. But most, if not all, participants have close, traceable and material ties to the Qatari government, Qatari-funded media or the Doha-backed Muslim Brotherhood – which has been outlawed by Saudi Arabia and several other Gulf states currently boycotting Qatar. ANNE PATTERSON, a career diplomat who had served as the US ambassador to Cairo in 2013 and was heavily protested against as Egyptians accused her of clandestinely aiding the Muslim Brotherhood government of Islamist President Mohamed Morsi. GIORGIO CAFIERO, who is a partner in a Gulf geopolitical risk consultancy firm based in Washington. Cafiero had contributed a number of articles to Al Arabiya English, but hasn’t been doing so anymore as many of his proposals were rejected as propaganda for governments. ABDERRAHIM FOUKARA: The Washington, DC Bureau Chief of Al Jazeera International. NIHAD AWAD: Director of CAIR, the Council on American-Islamic Relations, an organization controlled by the Muslim Brotherhood, whose name is on several international terror blacklists. KHALIL JAHSHAN: Executive Director of the “Arab Center” in Washington, a center funded by the Qatari government. But where is Bin Ali’s place in all of this? While preparations for the conference went ahead, Bin Ali held his media meetings and is believed to have directed many American personalities to focus on the Qatari and Turkish spinning of the Jamal Khashoggi case. And this, in fact, did happen. Since Khashoggi’s disappearance, US media reports have heavily relied on the dubious sources, uncorroborated reports and technologically inaccurate Turkish and Qatari reports. Meanwhile, US reports quietly reported or ignored official Turkish comment that totally denied reports suggesting Khashoggi was killed by Saudi authorities inside the kingdom’s consulate in Istanbul. This news, sourced from weak Qatari and Turkish speculation, has been debunked on several occasions. Further details reveal Bin Ali’s actual responsibilities towards the Qatari government. A Foreign Agent Registration Act (FARA) application submitted by Friedlander had listed Bin Ali as a foreign principal hiring the Friedlander Group for $50,000 per quarter, according to US government records. The duties of the Friedlander group are to arrange meetings with Congressional members to discuss bi-lateral relations between the United States and countries across the Middle East and ways to achieve peace and regional stability. A luncheon or reception would be hosted every six months in Congress; once in the Senate and the another in the House to allow members of both chambers to meet Bin Ali in a social setting. Congressional staff, Jewish leaders, and diplomats would be encouraged to participate to discuss relevant legislative issues that Congress is working on. Hassan Ali bin Ali is known as well by his ties with Tehran. He enjoys close business and personal relations with Iranian parties. The Democrats on the House Foreign Affairs Committee are planning to host extremist Hassan Ali Bin Ali on Thursday. 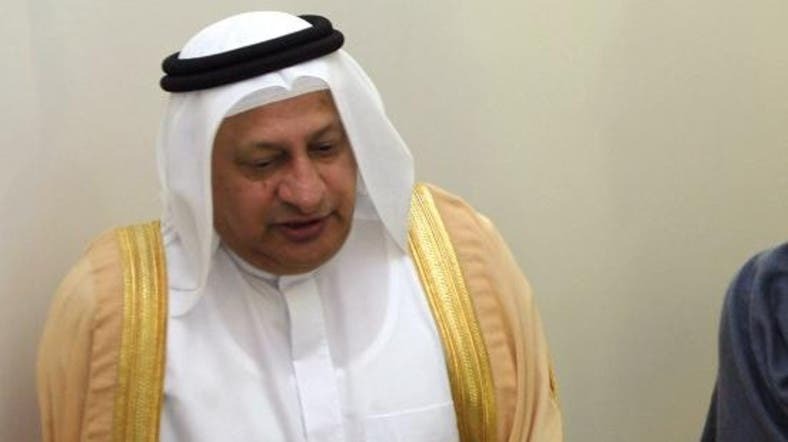 Hassan Ali Bin Ali is crooked Qatari “businessman” close to the Iranian mullahs. An outside source who works closely with members of the House Foreign Relations Committee told Al Arabiya English that Bin Ali had, in fact, been a front for the Qataris for a number of years. “He’s the one who whitewashes the whitewashers of the Qatari regime. Not only in the United States but all over the whole world,” he said.